Creating lists often allows you to simplify daily management of the Gantt chart and limits the type and amount of data that can be entered into it. 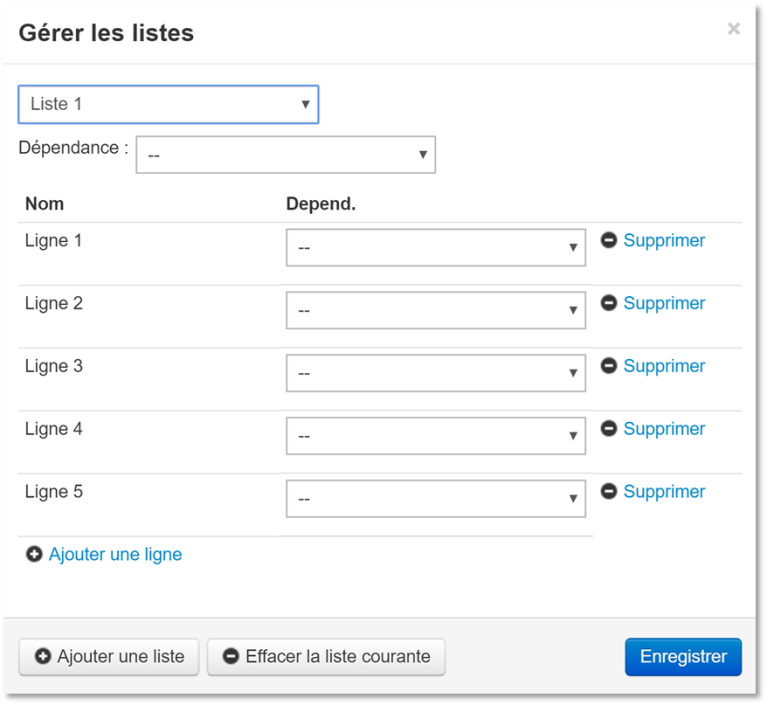 After clicking on the “Manage Lists” button, you can either “Create new list” or select an existing list. To avoid performance issues when naming a menu or entering a descriptive line, avoid special characters such as accents, diacritical marks or apostrophes. 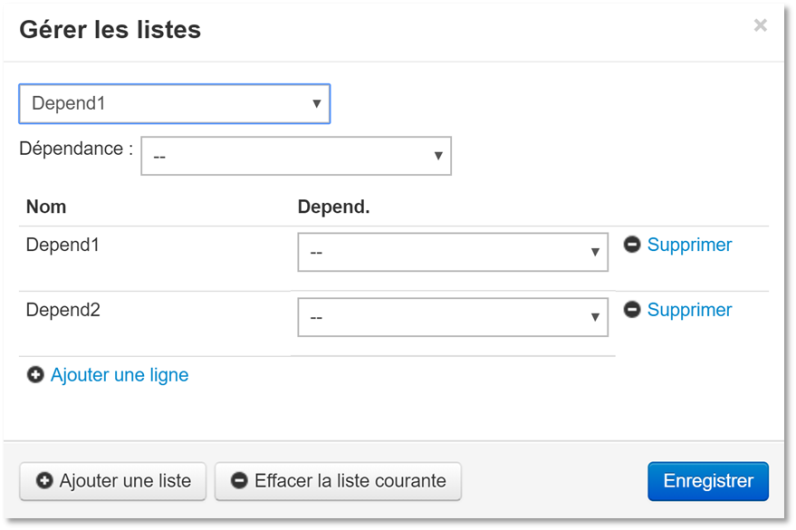 • You can enter as many lines as you wish to make up the drop-down choices for this menu. 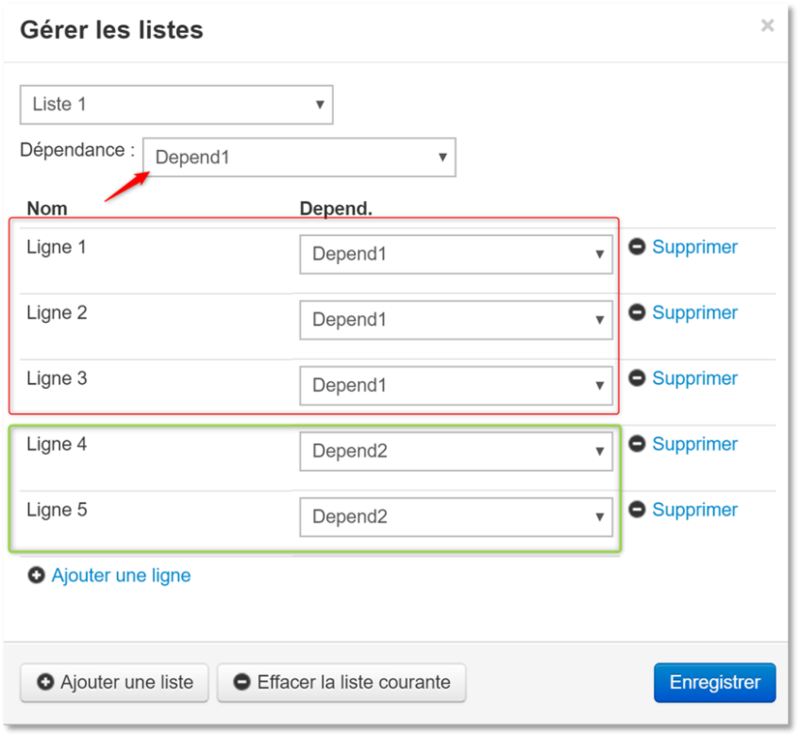 It is also possible to create a submenu with respect to a main menu, in other words, to make the choices in the second menu dependent on the choice selected in the first menu. “Menu1” contains 5 items, while “Submenu1” contains two items. 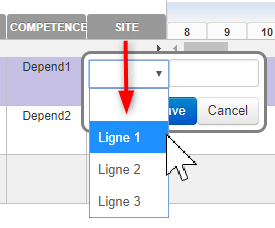 I can choose to restrict the value Submenu1 to choices 1 thru 3 of my main drop-down menu, and assign Submenu2 as the value for main menu items 4 and 5. To do so, open Menu1 and select the submenu Submenu1, reconfiguring its assignment as below. Submenu1 and Submenu2 depicted here are menu items created within the submenu “Submenu1” which guides and limits the possibilities that will be available in my drop-down menu (Menu1). Back in the Edit Headers tool, you can assign the desired menus to the appropriate columns, hit Save and return to your Gantt. 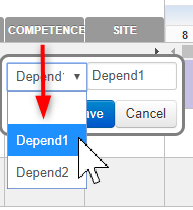 Depending on the submenu you’ve configured in the example column (Competency), the second menu will be limited to that previously configured (the Site column).